The alleged mastermind of the Peshawar adult cinema bombing that left at least 15 people dead has been arrested – in hospital, where he was being treated for grenade wounds. “The alleged perpetrators of the Shama Cinema blasts had taped hand-grenades to their thighs before entering the cinema, SSP Peshawar Najeebullah revealed on Thursday afternoon, Express News reported. According to the SSP, one of the suspects is 15, while the other one is aged 18 to 19 years of age. The suspects paid for their tickets and took up seats at the back of the main hall of the cinema. There were nearly 60 people were watching a film at the time. Half an hour into the film, the suspects took out the grenades, removed their pins, and threw them towards the people sitting in front, the SSP informed.” Link. USA: American ‘adult’ cinemas may be about as common in the US these days as orthodontists for chickens. This will change, if only temporarily, with a cinema season that puts the X into explicit in Brooklyn, New York. Bring your own raincoat. Link. Some exceptional cinemas today that we would like to give extra prominence to, so please pay attention. UK: The oldest cinema in Britain looks set to be restored, following a successful fundraising campaign. 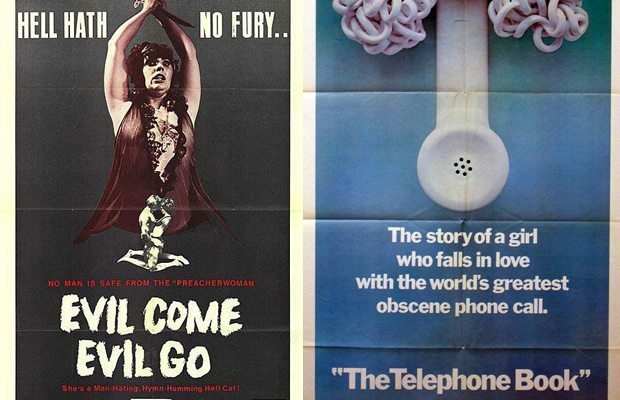 Click-bait headline would be, ‘You won’t BELIEVE how old London’s newest cinema is’. But it looks set to be impressive. “The cinema located on Regent Street in London’s West End is perceived as the birthplace of British cinema and was first used by cinematic pioneers, the Lumiére brothers in 1896, who used the location to show their first ever moving picture show 118 years ago. USA: Portland, not hipster capital but the Portland neighbourhood in Louisville Kentucky, looks set to get an amazing five-screen cinema in a truly unique building. Proof, if proof was needed, that the West and East Coast do not have a monopoly on the hippest cinemas. “Plans are underway for a five-screen movie complex in Louisville’s Portland neighborhood in what is now the new home of the Louisville Film Society. But it won’t be your typical suburban multiplex. It will be housed on Lytle Street in what was once an old large brick factory building. The executive director of the film society took WDRB on a tour of the building on Thursday. USA: “The landlord of the building that houses Brooklyn Heights Cinema, Tom Caruana, has begun marketing the property for sale or lease because he’s increasingly frustrated with trying to get his development plans approved by the Landmarks Preservation Commission, according to cinema owner Kenn Lowy. 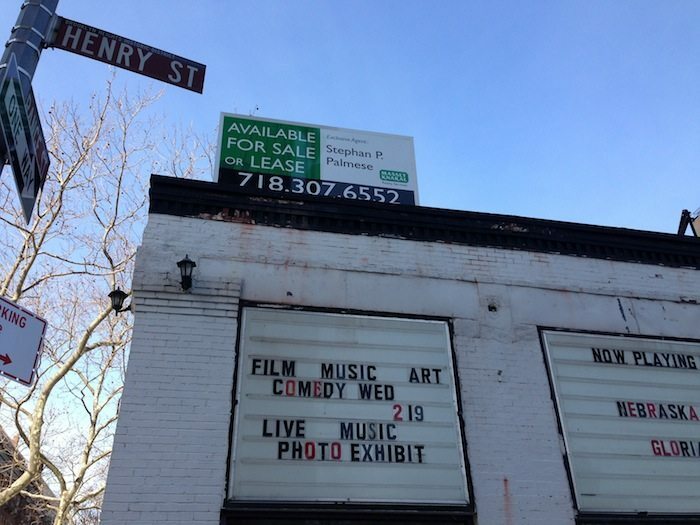 Massey Knakal is marketing the building at 70 Henry Street for $7,500,000 or for lease for $30,000 a month.” Link. Here is the response from the cinema’s operator. Link 2. USA: “A formal groundbreaking for the latest entry into Santa Fe diverse movie scene – the Violet Crown Cinema in the city-owned downtown Railyard, with 11 screens and small seating capacities in viewing rooms – is set for next week.” Dig the train! Link. USA: “The outer walls of two new auditoriums are up as work to turn the Bay City 8 movie theater into the Bay City 10 continues. Construction to expand the theater, inside the Bay City Mall at 4101 E. Wilder Road in Bangor Township, began about a month ago and is set to be completed by May 30, depending on weather.” Link. 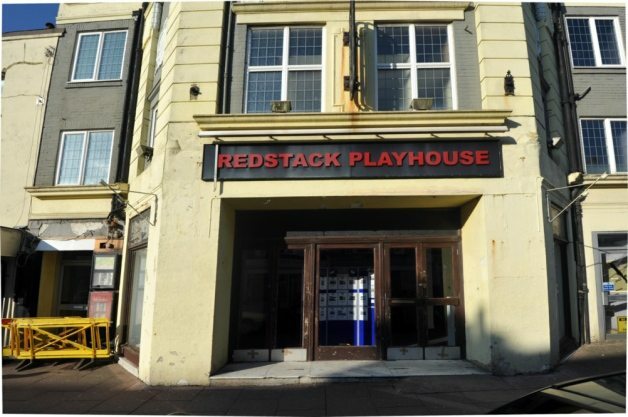 UK: “Campaigners fighting for the future of Bexhill’s last remaining cinema have offered £390,000 to the owners of the building in Western Road. The Ormiston Trust – a charity which supports children and young people across the UK – has already stressed its need to make the best financial return for its beneficiaries but appears open to the offer even though there is also another of £475,000 from a third party.” Link. UK: “Moorgarth has agreed a deal with The Light Cinemas to operate a nine-screen cinema at its Market Place Shopping Centre in Bolton.” Link. UK: Boy’s shoe gets stuck in cinema escalator. No injuries. Still not the end of the story. “Health and safety officers investigated a Cheltenham cinema – after a child’s shoe became stuck in the escalator. The authority’s public protection team were alerted to an incident at Cineworld in The Brewery on Tuesday afternoon after a worried parent filed a complaint of “mismanagement” at the cinema. But after visiting the cinema, the council has scotched concerns and confirmed no further action is necessary.” The family was given free cinema tickets. Maybe they wanted popcorn as well. Link. Beirut: The Paris of the Middle East has had a rough time lately, so good to see Lebanon putting its best foot forward when it comes to high end cinemas. ““VOX Cinemas is pleased to offer another new and exclusive experience, and myVOX is a unique concept that has mass appeal as it offers a premium viewing experience within the comforts of a boutique-sized cinema, made especially for private events,” said Cameron Mitchell, CEO of VOX Cinemas. 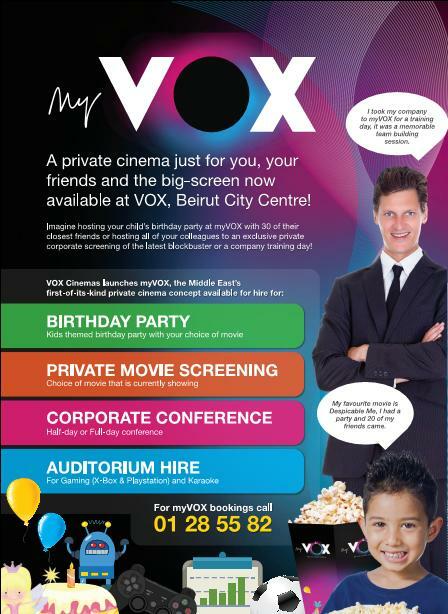 “myVOX offers a variety of affordable packages, which allow guests to hire out the cinema for a private movie screening at their preferred time and enjoy catered food and beverage served by a dedicated host. We are confident that myVOX will be popular for birthday events; however we also expect private bookings of upcoming releases including 300-Rise of the Empire and Need for Speed.” Link. UK: This weekend marks the first time the English National Opera (ENO) transmits one of its works live from the London Coliseum under the ENO Screen banner. 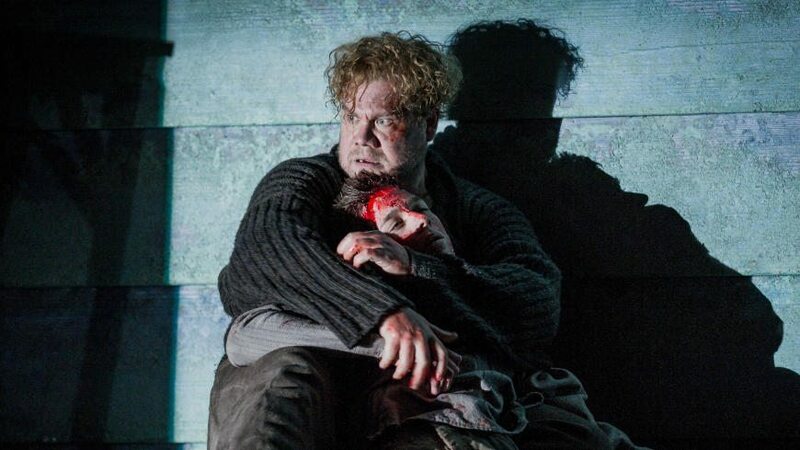 “This Sunday will mark ENO’s first live transmission to cinemas, with the screening of David Alden’s acclaimed production of Peter Grimes. The production will be screened at more than 300 cinemas around the country. If you haven’t booked your tickets yet, you can use our location finder to find your nearest participating cinema. If you are planning to go, you can download a cast list and synopsis below – or read some articles about the process of bringing Peter Grimes to the big screen.” Link. UK: ENO’s Covent Garden neighbour the Royal Opera House is meanwhile preparing for Sleeping Beauty. “Combining all the charm and virtuosity that this much-loved classic ballet has to offer, this world of magic, romance and dark enchantment is set to delight cinema audiences worldwide on Wednesday 19 March when it is broadcast live into eight Essex cinemas and more than 1400 cinemas across 32 countries worldwide.” Link 1. Link 2. The term ‘heart warming’ gets overused, but this is a truly inspiring story about an passionate soul in Yorkshire who with his partners and community support made a success of a collection of small town cinemas. I asked a friend about it who lives not too far away and she said it’s the cinema where her now-husband took her on one of their first dates. “Everyone was in theatre style dress and during the interval we had bubbly (probably cava to be fair) and ice cream.” The article gives the whole background and story to the cinemas and it is well worth the long read for anyone who wants to see how dedication and commitment can make small cinemas work. They should make a movie about it! 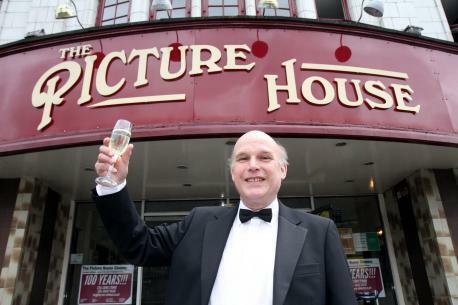 More than 25 years after re-opening the Rex Cinema in Elland’s Coronation Street, cinema entrepreneur Charles Morris is still in love with the whole business of showing films to the public. It pays too as people still want to go out to the pictures. All six cinemas he now runs, including the Picture House in Keighley and The Plaza in Skipton, have been equipped with digital projectors at a cost of £250,000. “It would have made more sense financially to give it up but I am still too passionate about the whole thing,” said Mr Morris. Make this your weekend read. Link.